Everywhere I look, I see tomatoes! The abundance of this sunshine-filled summer is upon us! 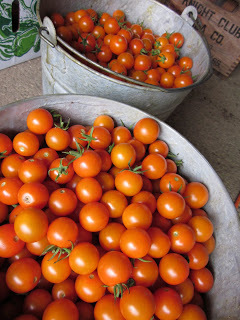 Tomatoes currently occupy every available container on the farm, and every surface in the kitchen. What are we to do with all of these glorious fruits? Today we’re boiling down a big pile of meaty heirlooms into our first-ever batch of homemade ketchup. Meanwhile, cherry tomatoes are drying in the dehydrator, and I’m about to start chopping plum tomatoes for a batch of salsa. I’m trying out this recipe from Seasonal Ontario Food. If you’re thinking about making some big batches of salsa, tomato sauce, or canned tomatoes for winter eating, now is the time! Many farms at the farmers’ markets are offering bulk orders of tomatoes, including Stout Oak Farm. 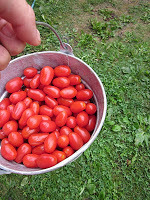 If you’re interested in buying organic tomatoes in bulk, please email me at stoutoakfarm@gmail.com. Think of all of the fabulous food you can make while tomatoes are in season. 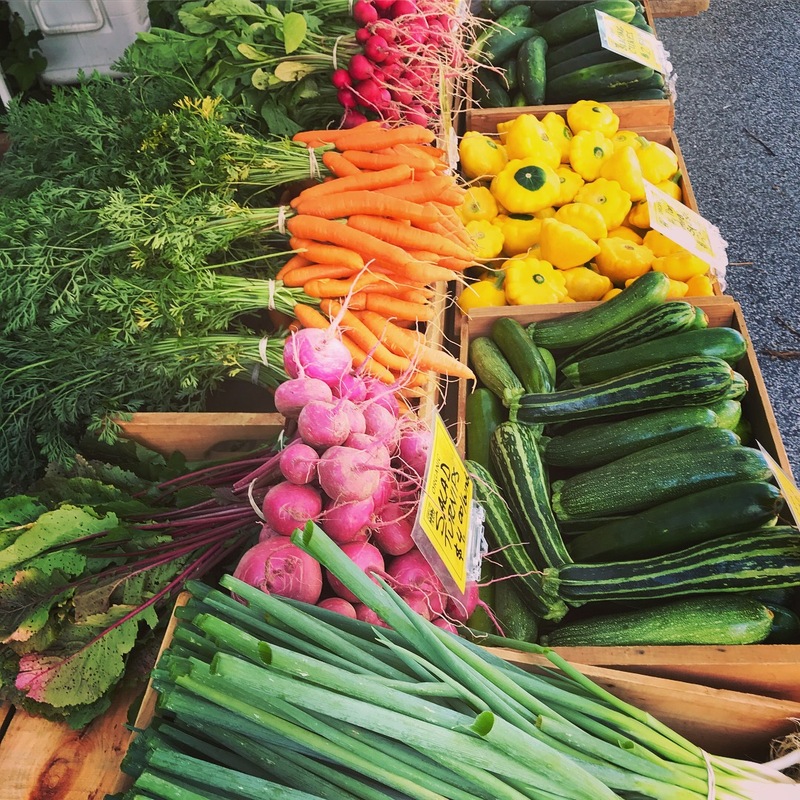 Come see us at the Exeter Farmers’ Market this Thursday and for some recipe ideas, check out Tracey Miller’s blog this week – 10 days of tomato recipes for the last 10 days of August. how many cucumbers have you eaten today?